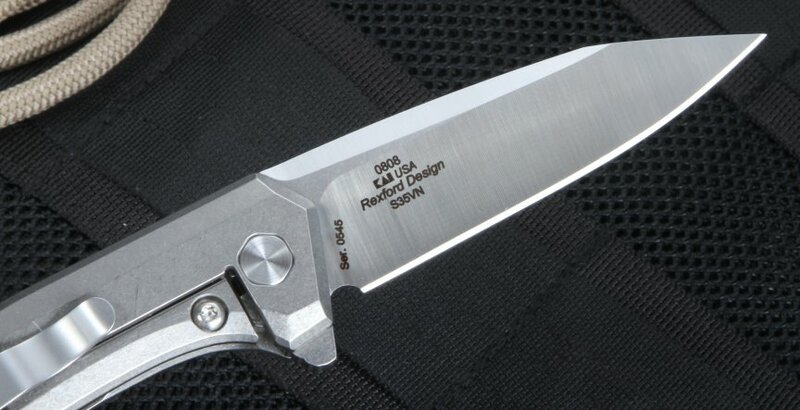 Rexford is known for his super hot custom knives - and a trademark look. This collab takes the Rexford design, builds it out in zero tolerance style with the right blade steel and ti frame. 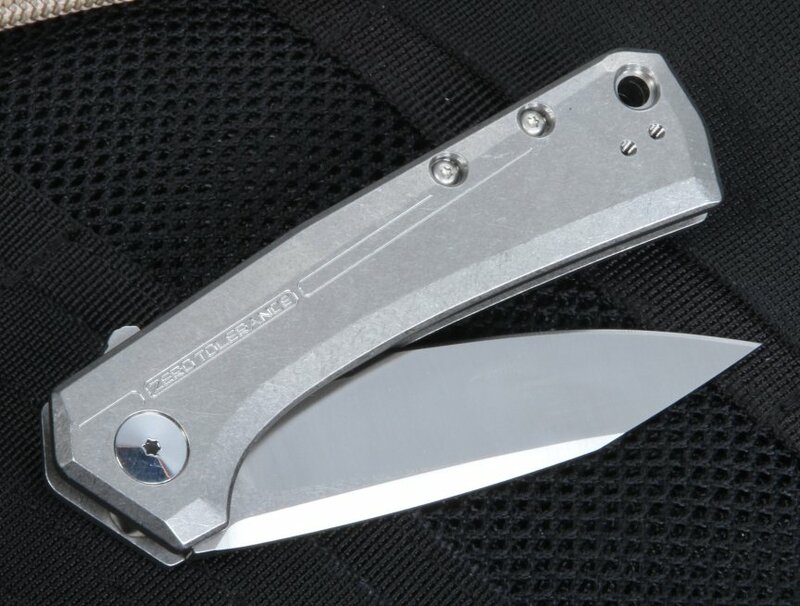 An American-made flipper at $200 bucks, this is a purchase you can't say no too. 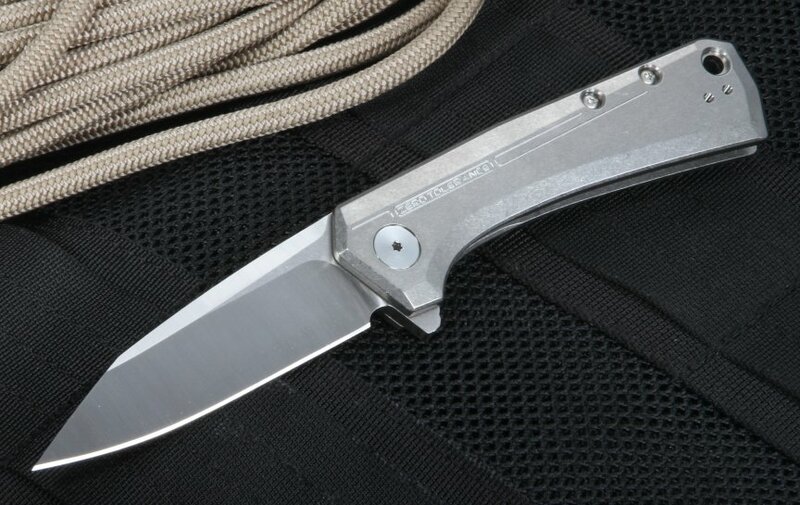 Made in the United States, the Zero Tolerance 0808 tactical knife is a high-performance flipper knife created in collaboration with Todd Rexford, the well-known knifemaker. Measuring 7.6 inches overall and weighing 4.3 ounces, the sleek, minimalist designs of the 0808 also bring strength and durability to any job. 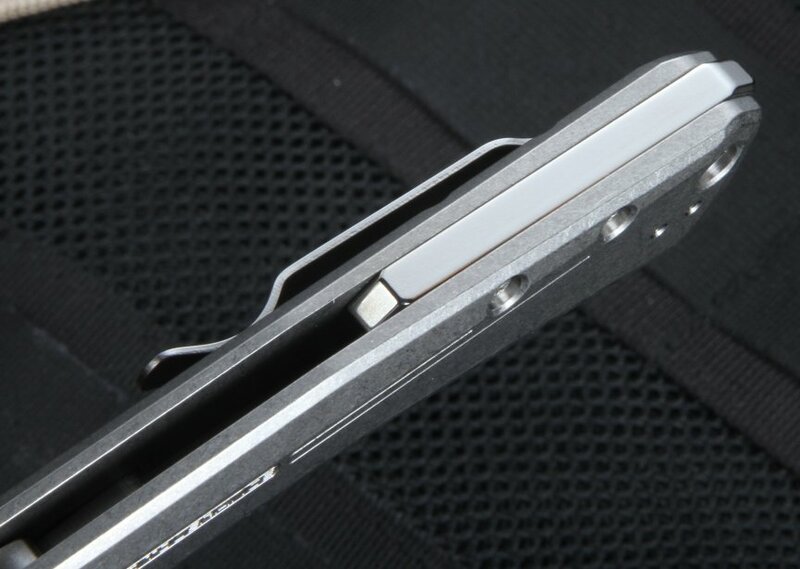 The 0808's drop point style blade is made from S35VN stainless steel. A powdered steel, Crucible Steel's S35VN is specially made to create a tough blade that is corrosion-resistant, easy to sharpen to a razor edge, and retains an edge for a long period of time. With a stonewashed or satin finish, the blade also reflects less and hides nicks and scratches easily. The blade itself measures 3.25 inches long, with a blade thickness of 0.16 inches. The plain edge makes it perfect for everyday cutting and slicing tasks, through thick and thin materials. Rockwell hardness of the blade is 60-62. The sleek, stonewashed handle is made from titanium, making the handle lightweight and resistant to corrosion. 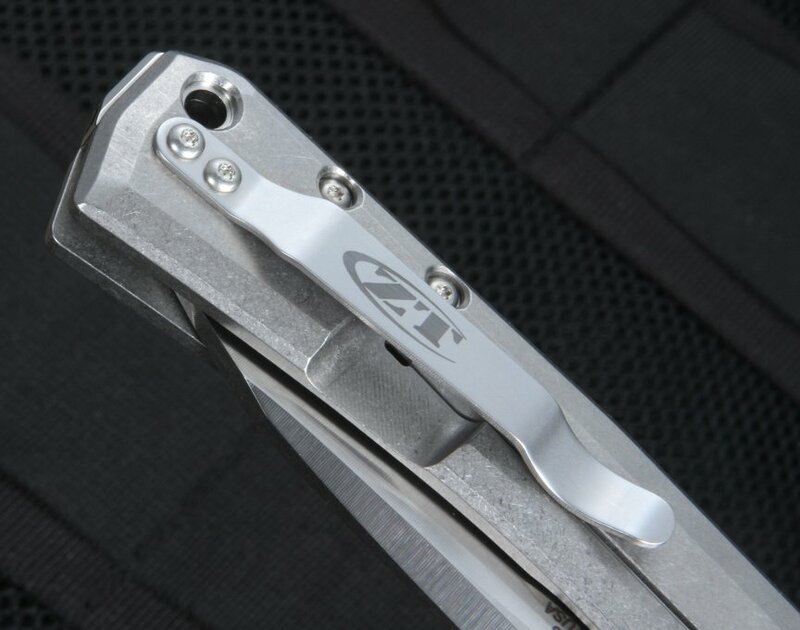 Using the manual KVT ball-bearing system--perfected by Zero Tolerance--for opening, the blade swiftly deploys manually without losing any speed. The blade is held in the handle's sturdy frame lock with lock bar insert and open construction backspacer, ensuring secure blade lock up each time. 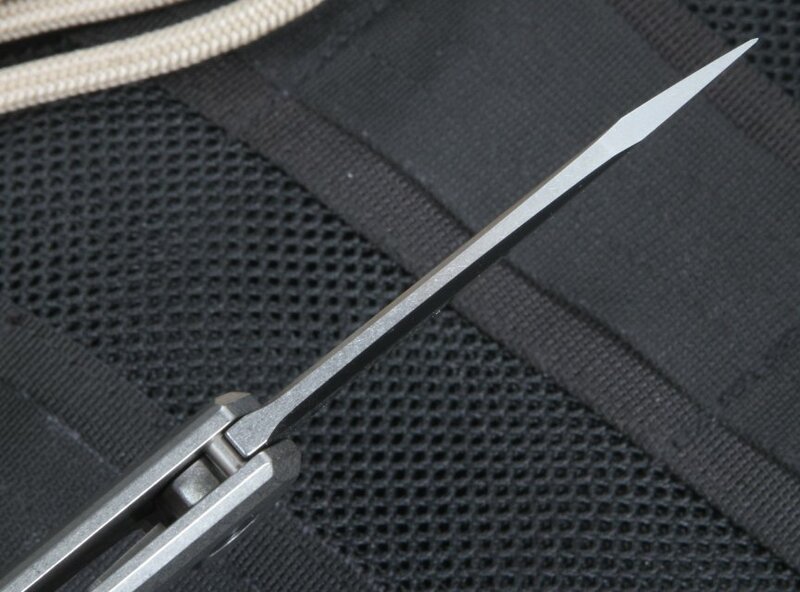 In addition, the handle comes with an integrated lanyard hole, plus a reversible pocket clip for left- or right-handed tip-up carry, giving you more options for carrying your knife in any situation. At 4.3 inches long, the handle is comfortable to hold and grip. In all, the Zero Tolerance 0808 is a great model to carry daily. 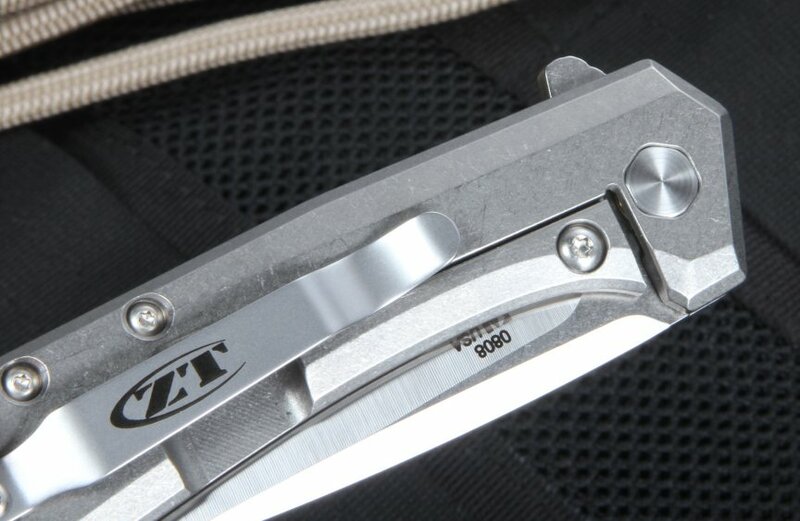 If you are looking to buy a ZT 0808, rest assured you will receive fast shipping a satisfaction guarantee. Great action, Solid construction quick delivery.